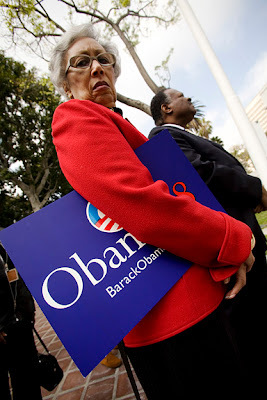 California civic leaders declared their endorsement for Barack Obama's run for President. The civic leaders included Rep. Adam Schiff, Rep Mel Levine, Assemblyman Ted Lieu, LA City Councilman Bernard Parks and Eric Garcetti, West Hollywood Mayor John Duran, LA County Supervisor Yvonne B. Burke. 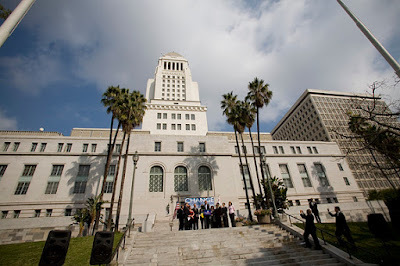 The lightly attended event was held on the First street steps of Los Angeles City Hall.